This invited commentary is in celebration of the 25th anniversary of the Family Van, a mobile health clinic originally founded by the Beth Israel Deaconess Medical Center and now a program of Harvard Medical School. Since 1992 The Family Van has been transforming care delivery by listening: the program was co-designed by community members and health care professionals and created a model of care that connects individuals within their community to both the larger health care system and social services. This model "Reduces health disparities in Boston by carrying out curbside testing, health coaching and care referrals to individuals in underserved communities. By traveling directly to areas in which the need is greatest and fostering an atmosphere of trust, our program removes barriers to care and improves the health of Boston’s most vulnerable residents". The Family Van is staffed by a team, "Comprised of a diversity of members, from health educators to HIV counselors, registered dieticians to volunteers, as well as other health professionals and partners" [1,2]. The van travels a preset weekly route, every day parking for several hours at specific sites in the neighborhoods of Dorchester, Roxbury, and East Boston. This compilation of Van Stories was reproduced from the monthly newsletters from the first five years of service. These stories echo the same themes we hear today: then as now on we see the power of open communication to support health, wellbeing and community efficacy [2,3]. The Family Van is a mobile health education and outreach program designed to help its clients access appropriate health and social services. On the Family Van we have found that the issue for many of our clients is neither the lack of health insurance nor transportation but rather the unease of an outsider looking into a fast paced medical world that does not have the time to listen to their story or the understanding of how a lifetime of marginalization could undermine one's ability to take advantage of available services. The Family Van is a welcoming entry portal into the local health and social resources. We listen to our clients and serve them without judgement. Because of this, our patients are enabled to fully participate in the management of their own lives. These Family Van Stories put a human face on important public health and health care issues. Our stories document the success of listening to our patients and using thier knowldege to design this approach to care. As with all of our collaborators, we like to think that our association with the Women, Infant and Children State Supplemental Food Program (WIC) is mutually advantageous. In a single day on the Family Van we helped three young women get connected to WIC services. Two of the women were receiving prenatal care at a teaching hospital but had not been told about WIC even though they qualified for this supplemental food program. The third was a very young woman who had come on the van with her toddler and the toddler's father. She was receiving Aid to Families with Dependent Children but had made no arrangements for prenatal care and knew nothing about WIC or the Healthy Baby (visiting nurse) Program. The young father was doing his best to support the family, but was clearly overwhelmed by the magnitude of his responsibility. We referred her into WIC and introduced her to the Healthy Baby nurse on the van. The nurse counseled her extensively on both the care of her toddler and the importance of regular prenatal visits. Before she left she had been referred to a Neighborhood Health Center and was scheduled for follow-up home visits by the Healthy Baby nurse and advocate. This highlights how women can be connected to some health care services, but can still remain uninformed about other programs that are available for their specific needs. At The Family Van our job does not end when we bridge that gap between our client and all the appropriate services. We also contact agencies, such as the teaching hospital in this story above, and tell them of problems that we uncover. In this story the problem arose because this particular hospital had a policy that they did not make referrals to WIC or Healthy Baby on the first prenatal visit. In our experience we had found that many young women do not make it past the first prenatal visit unless aggressive outreach is initiated immediately. In response to our input this hospital changed its policy. Karen was a 30 year old woman with high blood pressure who had run out of medication several weeks earlier. She had called to make an appointment with her physician and was waiting for the appointment to get a new prescription. When she visited the van to have her blood pressure checked she told this to the health educator, Rainelle. She also talked about how she had lately been having headaches and some blurry vision. The health educator took Karen’s blood pressure and found it was very high. She informed Karen that she did not have to wait for an appointment to get her prescription refilled, she could call her doctor’s office and get a refill over the phone. They then did just that from the van. The woman got her refill and her physician was informed immediately about her elevated blood pressure. Many of our clients do not feel entitled to “disturb” the doctor with “minor” complaints. They do not know how to maximize efficient utilization of the services they need. One of the Family Van’s most vital functions is getting people connected to the health care resources. This may entail getting a client a primary physician, finding health insurance or negotiating free care. However even clients with insurance and a primary care provider often need help in order to fully utilize the health care system, thereby maximizing their access to the best possible care. One Tuesday morning we were in Codman Square and one of our regular clients came on the van to report that she had been hit by a car some days earlier. Her hand was badly swollen but she had not gone to the emergency room for care because, even though she had a job, she was uninsured and thought she was not allowed to use emergency room services. But she did know that she could come to the Family Van and trusted that we could help her find the proper care. One of the van workers volunteered to accompany her to the nearby hospital for the emergency treatment she so obviously needed. For some of our clients even the most basic rights of health care are a mystery or seem unreachable. This woman worked, but knew she was uninsured. To her, that meant that she could only have access to health care she could pay for, in cash. Many of our clients use emergency rooms as their only source of health care, yet here was someone who did not believe that even this last safety net was available to her. Mr. N is a 47 year old African American man who was recently diagnosed with high blood pressure. He was having difficulty accepting his diagnosis. He had been prescribed a medication by his doctor. He had told his doctor that he would take the medicine but when he came to visit the van he admitted that he had no intention of doing so. He didn’t like pills and he felt he could control his blood pressure by just taking better care of himsel. fHe had come to the Family Van to check his blood pressure and told Toni, the van director, his plan. Mr. N was determined to try it his way first. Toni discussed his plan with him, outlining options and risks, and answered all his questions about diet and exercise. But she also convinced Mr. N of the risks if his plan did not work. She convinced him he should return to his doctor, be honest and negotiate a plan that he would be willing to follow. The man left the van only to return many weeks later and tell Toni that he had returned to his doctor and they had worked out a regimen that he was willing to try and his blood pressure was now under good control. Medication non-adherance is an important barrier to adequately treating many health conditions, including high blood pressure. A 1999 study found that almost one in four people with newly diagnosed high blood pressure do not take their medication. In this story, Mr. N felt he could be honest with Toni and he learned from her that he could negotiate with his doctor-and that it was in his best interest to do so. By empowering people to take charge of their own health, the Family Van levels the playing field in the patient-provider relationship. A visit to the doctor can be quite intimidating for some patients and they may not feel comfortable asking all their questions. Our clients often come to the van after leaving a doctor’s office with many unanswered questions. The Family Van does not have the time constraints of the busy doctor's office and is a non-intimidating environment where clients feel safe to reveal information or, more importantly, a lack of knowledge, that they are not comfortable sharing with their physician . A 38 year old Jamaican bus driver had not been feeling well for several days and came to the van to get his blood pressure checked. Mr. J was feeling tired and weak, but did not believe that he could be seriously ill because he had bowled such a very good game at the bowling alley the night before. He thought he only had a mild flu and went to a nearby Jamaican store and emerged with “malta”, a high carbohydrate food believed to be therapeutic for feelings of fatigue or weakness. He was about to consume the malta. As the health educator chatted with Mr. J she found out that some of the symptoms he had been experiencing were classic for diabetes. As the conversation progressed it came out that he had a family history of diabetes. The health care worker suggested that Mr. J let her check his blood sugar with a finger stick while he was on the van, eEven though he had no personal history of diabetes. He agreed. His glucose was extremely high and he was taken to the emergency room and admitted to the hospital. The Family Van is a place where clients come for curbside consults. We are the “knowledgeable neighbor” to whom clients bring questions that they would not bother the doctor with. Mr. J probably would not have gone to his doctor that day. He did not think his symptoms were serious enough to warrant attention. The Family Van provided a setting where he felt comfortable discussing his symptoms and his family history. And he trusted our advice enough that he was willing to have a diagnostic procedure. This saved Mr. J from the serious consequences of undiagnosed diabetes. Rainelle Walker, Project Coordinator and health educator, lives in one of the communities that we serve. In her neighborhood there was a young man whom she was concerned about and she had encouraged him to visit the van. One day the young man finally showed up and told Rainelle that his fifteen-year-old girlfriend was pregnant. He talked to Rainelle about what this meant to him-he was scared and unsure what to do. Rainelle told him about the resources that were available to them both. A short time later, he returned to say that his girlfriend was no longer pregnant, she had miscarried. He was now very sad and confused. Rainelle comforted him and then gave him a very direct talk about responsibility, his future and that of his girlfriend. The next time the van was in his neighborhood this young man returned with a few of his friends who he thought were in need of some advice from Rainelle. It is part of our design that our staff and collaborators come from the neighborhoods we serve. Clearly this makes it easier for some residents to share their problems and seek help and advice from staff who they believe will understand their problems [5,6]. Throughout the time that The Van has been in service, we have always paid close attention to how we are perceived on the street. Credibility is difficult to establish and easily lost. Association with low enforcement officers has always been particularly tricky since many of our clients have reason to fear or mistrust government agencies. We regularly serve illegal immigrants, substance abusers, teens, and street walkers. There are times when van utilization is seriously diminished by the mere presence of police cruisers in the vicinity of van a site. This is why we all found the impact of a recent trespasser sweep on Mission Hill to be quite surprising. Over one hundred people were arrested in an intensive two day operation. When we returned to our Mission Hill site the day following the sweep, we expected that no one would be on the street for at least a couple of weeks. In fact we had a very busy day with some interesting twists. Some of the Boston police officers who had been involved in the sweep came to see us to see how we perceived the implications of their efforts. After finding out about the services we offered, one officer left and soon returned with a Cambodian woman and her six children. She did not speak any English and although it was late Fall, her children were all still wearing summer clothing. We had heard that a family had been seen foraging for food in trash cans. We were able to supply clothes, formula, some food, and diapers, and set about getting them connected to other resources. In addition to describing the tremendous need that exists in the communities we serve, we also want to share the feeling that we live in a time when major public institutions are reshaping themselves, and how the communities they serve are responding to those changes. The van had been at the Mission Hill site for almost three years and had seen evidence of much tension between police and residents. Yet, on the heels of this major police action, people continued to come to the van, were friendly with the police who were there, and the officers also demonstrated a deep concern for how their actions would affect the community and for the welfare of this one desperate family. Our clients want to be part of the value chain, not passive recipients of charity. The van is a place where everyone has something to give, be it outgrown clothes, or ideas to share, or just time to listen. Everyone can be part of the process. The postpartum nurses from the 8th floor of the Beth Isrrael Deaconess Medical Center raised money which they wanted to use to give holiday gifts to some local children. We had heard of a day care center for children with HIV whose parents had AIDS. We offered to make all the arrangements to buy gifts for the children. We contacted the day care center and offered to organize a party with gifts for their children. The director of the center thanked us for our offer but told us that these children knew their mothers were dying and would rather give gifts to their mothers instead. We decided that the perfect gift to give a mother would be a portrait of her child. So we offered to take pictures of the children. As the story of these children’s wish was passed from one department in the hospital to another, everyone who heard wanted to join the project. The director of media services donated his time to set up an entire studio at the day care center and take a professional portrait of each child. The printing department donated the paper supplies so the children could make cards in which their own photographs would be the centerpiece. The entire van staff volunteered to organize and entertain the children while the portraits were being taken so that the operation of the day care center wouldn’t be disrupted. And the money the nurses had collected was used to buy gifts for the children. It was a privilege to be allowed into the lives of these young children. It was a privilege to meet the dedicated and loving day care center staff. The gift was for us. The Family Van is a welcomed neighbor. It is a mobile health clinic that provides health promotion, prevention health services, referrals to local health and social agencies and compassionate curbside care; where people come to share their stories and give and receive the gift of listening [7,8]. “Faith is taking the first step even when you don’t see the whole staircase,” Dr. Martin Luther King, Jr. once said. Twenty five years ago The Family Van took that first step, in a time when the concept of mobile health care was still emerging. The Family Van and the communities it serves had the faith that by working together, we would build healthier, more connected neighborhoods. Over those two and a half decades, we were able to serve over 63,000 individuals, of which an estimated 27% learned for the first time that they were at risk for one or more chronic illnesses, and 50% of them had documented improvements in their health status [9- 11]. We are successful at reaching those with the greatest barriers to healthcare and partnering with them to improve their health. For mobile clinics like The Family Van–which is now recognized as a best practice for both promoting wellness and managing chronic illness–the role in building healthy communities will continue to grow and expand. Hill C, Zurakowski D, Bennet J, Walker-White R, Osman JL, et al. (2012) knowledgeable neighbours: a mobile clinic model for disease prevention and screening in underserved communities. Am J Public Health 102: 406-410. Song Z, Hill C, Bennet J, Vavasis A, Oriol NE (2013) Mobile clinic in massachusetts associated with cost savings from lowering blood pressure and emergency department use. Note: years later we demonstrated our impact on blood pressure. Health Aff (Millwood) 32: 36-44. Schanzer B, Dominguez B, Shrout PE, Caton CLM (2007) Homelessness, health status, and health care use. Am J Public Health. 97: 464-469. 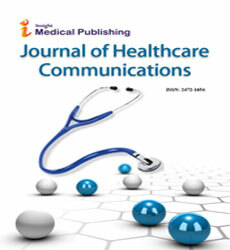 Jamir L, Nongkynrih B, Gupta SK (2013) Mobile health clinics: meeting health needs of the urban underserved. Indian J Comm Med 38: 132-134. Kojima N, Krupp K, Ravi K, Gowda S, Jaykrishna P, et al. (2017) Implementing and sustaining a mobile medical clinic for prenatal care and sexually transmitted infection prevention in rural Mysore, India. BMC Infect Dis 17: 189. Gillon R (1987) Health education and health promotion. J Med Ethics 13: 3-4. Hodge FS, Cantrell BG, Kim S (2011) Health status and sociodemographic characteristics of the morbidly obese American Indians. Ethn Dis 21: 52-57. Lucas JW, Barr-Anderson DJ, Kington RS (2003) Health status, health insurance, and health care utilization patterns of immigrant black men. Am J Public Health 93: 1740-1747. Wannamethee G, Shaper AG (1991) Self-assessment of health status and mortality in middle-aged British men. Int J Epidemiol 20: 239-245.